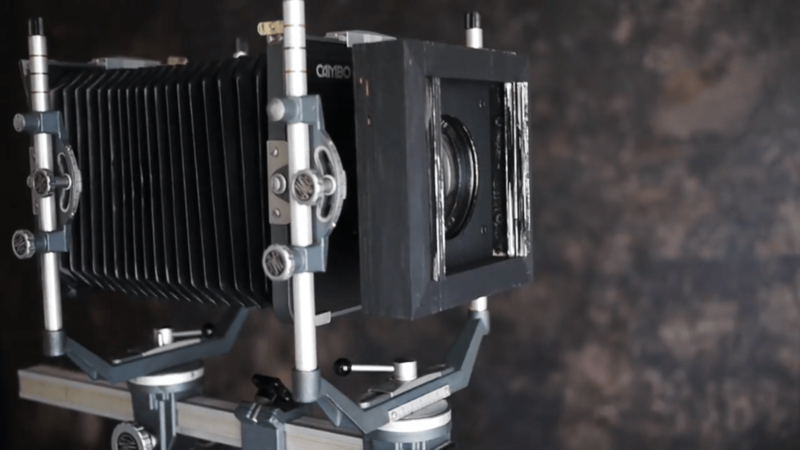 Animation filmmaker and self-taught photographer Ursula Ferrara has made her own 16″ x 20″ camera entirely from scratch. She shares some images of the creating process, as well as the resulting photos. Her daughter, Annick Emdin, describes the magical process of being photographed by this camera, made with a lot of passion and devotion. And when we say from scratch, we are not kidding. This isn’t just ordering a bunch of components online and bolting them all together. Other than the lens and a few hinges, every piece on this camera is hand made. Right down to the perfectly hand ground glass. The camera is the wonderful creation of very talented camera builder, Dieter Schneider. Whether you want to build your own camera or not, it’s a fascinating video to watch. The attention to detail, and ridiculously accurate workmanship is remarkable. I found a WWII British Air Ministry Pentac 8 inch f2.9 lens in a second hand store about a year and a half ago. It was made under a military contract during the war and a number of British manufacturers filled this contract. The best of the lot were made by Dallmeyer, the original designer of this lens. This lens sample isn’t marked to indicate the manufacturer, and it doesn’t have a traceable serial number, so the maker remains a mystery. Like many lenses that were made for aerial reconnaissance work, they were intended to be mounted on a camera with a built in shutter. To make this lens usable in a modern sense would involve controlling the timing of an exposure. Mounting this lens in a large format leaf shutter can be an expensive undertaking, and due to it’s size, the shutter options are somewhat limited. Because I’m of dutch descent (thrifty, cheap, frugal…), I took it upon myself to find an inexpensive solution to this particular problem… Bonjour Marie Antoinette.